This past week I attended a conference about using Kagan strategies for team building and class building. I first heard about Kagan this year in the Missouri Teacher’s Academy and the strategies I learned for engagement were so great that I thought this conference would be useful. And boy was I right! Something overlooked by many teachers is taking time away from learning content to build relationships not only between the teacher and students but, equally important, between the students themselves. Sure I have always done an ice breaker on the first day of school, but it wasn’t something I was intentional about or a trend I kept going throughout the year when I switched students’ seats or when students switched classes after semester break. The most surprising thing I learned is that it’s crucial to do class builders and team builders once or twice a week throughout the entire year! Why? Well, it’s a great way to build those relationships but really just because it’s fun and can liven up the class. After all, teachers know that sometimes brain breaks are necessary to keep the “real” learning going. More Music – I heard this idea but I don’t utilize it enough. It’s so simple but the music also helps time the activity or transitions. Tell students they have (however many) songs to do it and watch them rise to the challenge! More Movement – every activity –whether fun or academic–should involve movement.This can be as simple as having students stand to say their answer or as structured as moving around the room switching partners to talk to. But movement activates the brain and helps those antsy students. More Fun – Not everything has to be academic. We as teachers should lead silly games sometimes too and while I never thought this would be in my high school classroom, I think it’s even more important with older students. Something like a class chant or telling your partner “you’re awesome” after they say their answer go a long way to building relationships. They sound corny, but kids really will love them if you’re excited about them first. More Structure – I started doing more with engagement in my classroom this year after the great ideas I got during the Teachers Academy. The biggest help to my lessons was not only getting students to talk more, but to do it in a structured way. Teachers have to give students explicit instructions about writing and sharing their answers. One of the easiest things I learned is “face partner” versus “should partner” as a quick way to mix up sharing. Remember: every student should have a role and a responsibility so no one can take over and no one can slack off. More Feedback – Teachers need to be aware of what games and activities work for their students and which ones do not. In addition, it’s okay to ask students what they want! Especially when it comes to having fun, let them choose a game or activity as a break. You can even use it as a reward. So, now that I have some great ideas and these key pieces of advice, I hope to incorporate fun class building and team building activities into my lesson plans for next year. I will focus a lot more on starting off the year by getting my students to know each other and especially working on those key communication and collaboration skills. I’m so pumped up to try new things! 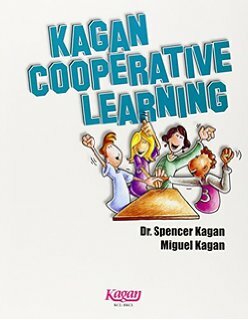 If you haven’t been to a Kagan workshop or read one of the books, I highly recommend it! Next Start of Year 6! I am going full workshop in my classroom this year. It will somewhat include a lot of what you have mentioned here – mostly structure and feedback. However, I do want to use movement, and music more.